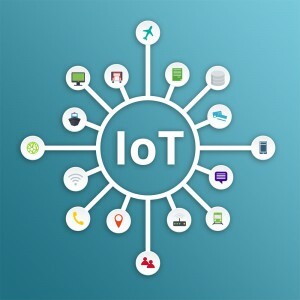 There is a lot of hype surrounding the Internet of Things (IoT), with many companies trying to differentiate themselves in what is becoming a seemingly very crowded space. In the retail industry, a lot of companies market ‘neat’, yet transitory ideas or products which they hope will capture the imagination of the people who buy them before their thoughts veer elsewhere. There does not need to be a justifiable consumer expense, as consumers are free to spend their money as they like – this is a very different scenario than in the business world. The biggest (commercial or industrial) business enabler of the IoT is the wealth of information that has become available. Whether you’re tracking heavy equipment, building a highway through the mountains, monitoring employee productivity on the assembly floor, or managing a fleet of vehicles, the IoT has made it possible to track operational and diagnostic information either in real- or near real-time. Some of this information is unremarkable and unactionable, but some of it has the potential of transforming businesses as we know them today. There is a new business model that has appeared recently that is in the middle of revolutionizing how businesses operate—the ‘-as-a-Service’ model. The standard hardware business model has been based on selling a customer a device, perhaps with a warranty, and then ending the business transaction. 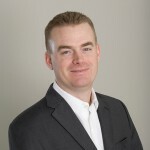 Companies are now able to use the operational and diagnostic information from these devices to either deliver added value over the lifetime of the device, or more tightly bind the customer to the company. This is enabled through the ‘as-a-Service’ model, which is based on a pay-per-month/use type of transaction. Some examples include a coffee machine which has an operational use that is charged per cup, or Rolls Royce engines which are charged by the hour. Some companies are using this new model as a means to transcend their main business, such as Ericsson’s new Smart Metering as-a-Service offering. This ‘-as-a-Service’ model works well for both offering and subscribing companies. Instead of budgeting for and outlaying large CapEx for equipment, companies may choose to go with a different provider that offers a product with regular, predictable operational expenses. If the service becomes substandard, the purchasing company has no obligation, or equity, tied to the offering company. This type of transaction puts the onus on the offering company to maintain a high level of service. For the offering company, this type of transaction will flatten the unpredictable nature of revenue peaks and valleys by providing a means for generating recurring revenue. 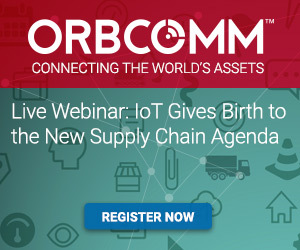 To learn more about the evolution of IoT and supply chain management, register for our Live Webinar on April 28 entitled ‘IoT Gives Birth to the New Supply Chain Agenda’. Ashish Chona from ORBCOMM and Isabel Chapman from Machina Research will highlight IoT and M2M case studies that stress ROI and other KPI’s to illustrate the state-of-the art in supply chain management. You can also visit ORBCOMM at RFID Journal LIVE!, May 3 – 5, in Orlando, Florida. Look for ORBCOMM IoT solutions at booth #436. Going to be there? We’d love to meet with us. Schedule a Meeting. True, IoT will change most of the traditional business models. One of them is the Rental business. Wwe have already started to work on hourly basis for equipment rental.